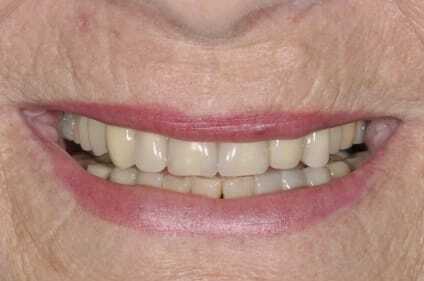 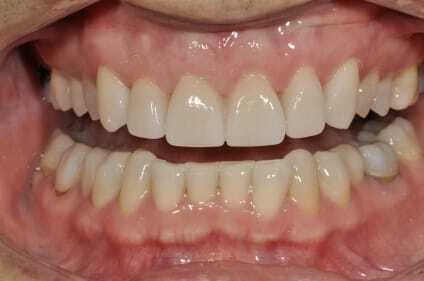 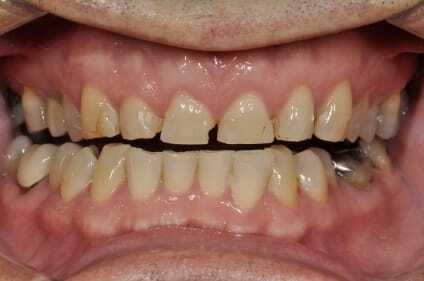 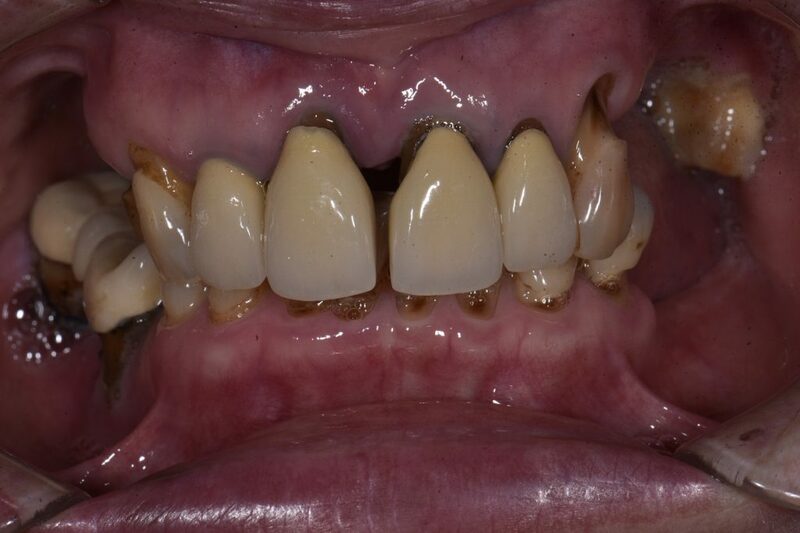 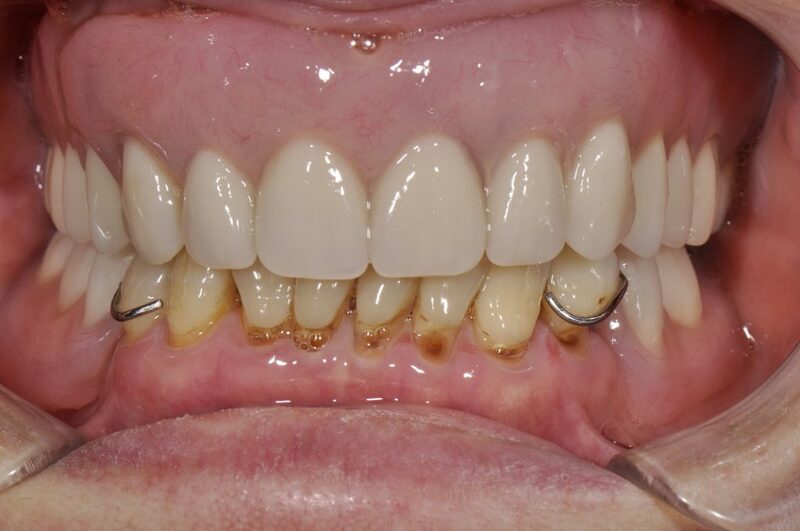 This is a reassessment of the full arch clearance case with mutilated dentition. 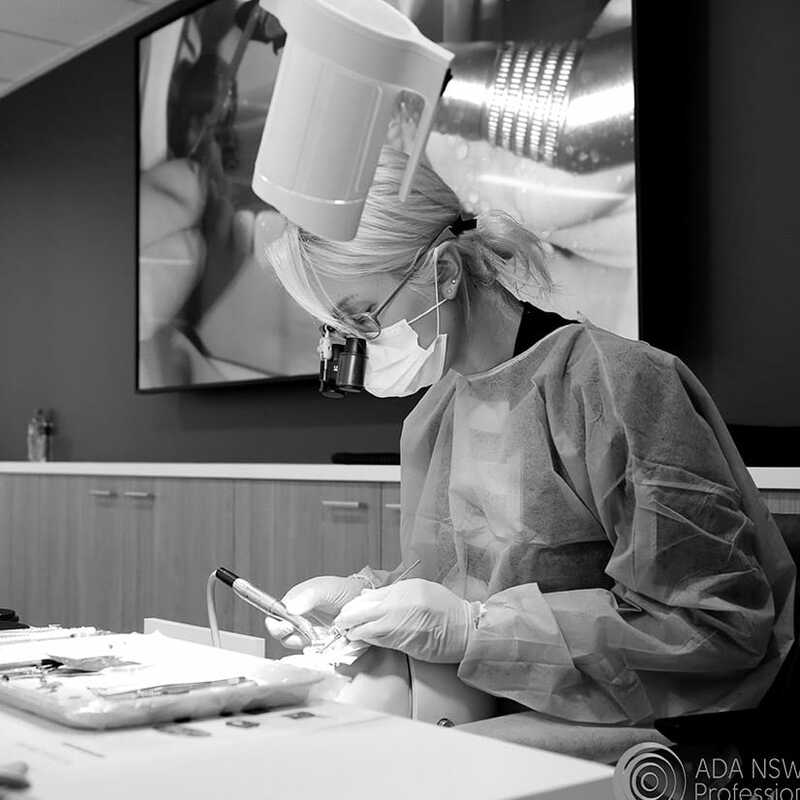 With a handy combination of Digital Smile Design using Smile Designer Pro (Toronto, Canada), the Kois Deprogrammer and the Kois DentoFacial Analyzer, we were able to get things not only straight in the face, but set up a treatment position that will now make the rest of treatment (i.e. 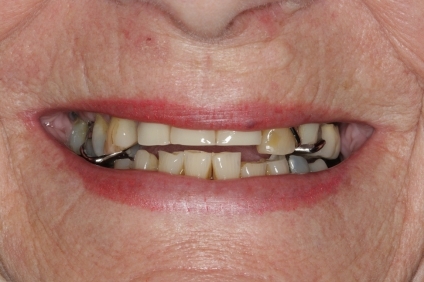 implant-supported Locator denture conversion or implant-supported zirconia framework bridge with individual lithium disilicate crowns) along with the lower implant supported crowns quite fun!